Budget Business Class is one of the most respected travel agencies online. We’ve been providing customers with incredible discounts on business and first class tickets for years. Our clients know that when they come to us, we are saving them an upwards of 50-70% on flights. Additionally, our clients receive top notch service and support, from the moment they book until they arrive home from their flights. Learn more about how it works! 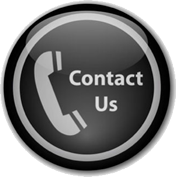 If you prefer to request a quote online, please feel free to complete our Request A Quote form. We look forward to serving all of your travel needs! Please call one of our friendly travel agents to book international business & first class flights. We are eager to provide exceptional customer support and service.